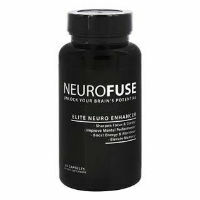 Neurofuse Elite Neuro Enhancer Review: Can it Help Your Motivation? Neurofuse Elite Neuro Enhancer is a nonprescription supplement that is officially categorized in the rapidly growing nootropic industry but that many athletes and dieters are using to help them to boost their physical performance. For dieters, this type of product has appeal because it is meant to help them to overcome struggles with energy levels and alertness and, for some, motivation. It is important to note that while some nootropics, as a category, have been researched, this type of supplement remains in the very early clinical stages at most. While many manufacturers like to boast that their ingredients have been studied and perhaps even proven, it’s important to note that any research to which they are referring is considered to be preliminary at best and would never be considered acceptable proof within the medical community. That said, this doesn’t necessarily mean that Neurofuse Elite Neuro Enhancer won’t work. It only means that there isn’t any reliable evidence to say that it does. 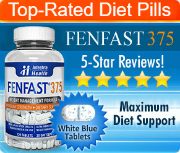 Therefore, it is important that any dieter considering the use of this product should take certain additional steps in order to inform him or herself ahead of purchasing and using it. For instance, a visit to the doctor is always a good idea before starting the use of a new supplement, diet or exercise strategy. As the entire point to using Neurofuse Elite Neuro Enhancer in order to help with weight loss is because of the hopes of increasing the impact of fitness routines, it is therefore highly recommended that the advice of a medical professional first be sought. 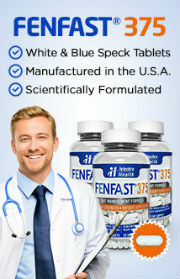 The official website for this manufacturer does have a page for this specific product and claims that it will help to sharpen mental clarity and focus, boost mental performance, improve energy levels and alertness, decrease perceived anxiety and stress and enhance the memory. Every one of those statements is followed by an asterisk on the site which links to a statement that shows that none of the claims have been evaluated by the FDA. While that is not abnormal as the FDA doesn’t typically give its approval to dietary supplements, it should point out to consumers that these are merely claims and have not been given the nod by a governing body. This is not a heavily regulated industry. The ingredients in this product include: bacopa monnieri, rhodiola rosea, caffeine, L-theanine, phosphatidylserine, choline bitartrate, DMAE bitartrate, huperzine A, vinpocetine, alpha lipoic acid, vitamin B12, vitamin B6 and vitamin D3.